In the worlds of marketing and search engine optimization (SEO), content is still king — but the kingdom is no longer limited to the written word. It opens a new marketing channel for businesses that have traditionally only explored blog posts and social media. 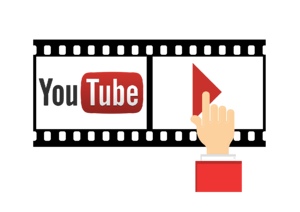 YouTube videos frequently appear in Google’s results — often at the top (above the aforementioned blog posts). You can add descriptions and links below your videos. Some viewers will click on these before visiting your site. YouTube offers detailed analytics about your users and their watching preferences. These back-end data points are in addition to more obvious metrics such as likes, dislikes, and comments. You can embed videos in your posts and pages (as we do). This keeps people on your site longer, which can help reduce your bounce rate and increase your rankings in search engine results. If you analyze how much time you personally spend on YouTube, it becomes pretty clear why publishing more content on the platform makes sense. That said, how do you get started? Here are some tips for growing your business with YouTube. How-to videos consistently deliver better results than those focused on promotions or sales. Don’t be afraid to give away the “special sauce.” The more you educate your users, the more trust and authority you’ll develop within your niche. You should always include a specific call to action at the ends of videos so that viewers take that next important step — whether it’s to subscribe, comment, or share. Celebrity gossip and recent news might get a lot of hits in the beginning, but the traffic will quickly taper off over time. Instead, publish video content that is relevant today and tomorrow. If people take the time to leave a legitimate comment on one of your videos, you should answer with a personalized, thoughtful response. Not only does this facilitate constructive dialogue with potential customers, but it also distinguishes you from the majority of content creators on YouTube. When it comes to SEO, elements such as keywords, meta tags, and descriptions are just as important for YouTube videos as they are for blog posts. Be sure to optimize every video for maximum rankings — on YouTube and on Google. Production value absolutely matters. If you have the resources, it makes sense to invest in the right cameras and lighting. However, don’t let a lack of these resources prevent you from getting started. With a simple mobile phone, you can shoot a new video every day. This is much better than not publishing any videos at all. Because of YouTube’s detailed analytics, you can instantly identify the best-performing videos from your channel. You should also share these on Facebook and Twitter to maximize engagement. Google Small Business. No surprise here. Google owns YouTube, so this is an obvious starting point for any small business owner. Backlinko explains the nuts and bolts of SEO — complete with a dedicated playlist for YouTube optimization. Social Triggers helps to demystify the “why” of consumer psychology and user behavior. You could spend hours on any of the YouTube channels mentioned above. In fact, getting sucked in is incredibly and dangerously easy. That’s the whole point. Video is a powerful medium that engages, educates, and entertains. Yet, every minute spent following other people’s videos is a minute taken away from creating your own. The most important tip for long-term YouTube success is to get started now. Good luck and happy filming.